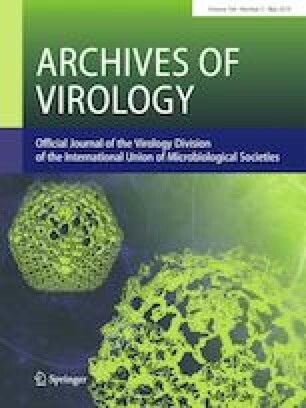 We report on the occurrence and diversity of noroviruses in children (younger than 5 years old of age) from a low-income urban area in Rio de Janeiro, Brazil. Sixty-one stool specimens collected from children between 1 and 4 years old with acute diarrhoeic episodes (ADE) and non-ADE were investigated. RT-qPCR and sequencing of PCR products after conventional RT-PCR analysis were performed. Noroviruses were detected in 29 (47.5%) samples: 21 (46.7%) from cases with ADE and 8 (50%) from non-ADE cases. Molecular characterization showed 10 different genotypes circulating in this community between November 2014 and April 2018. Carina Pacheco Cantelli and Marcelle Figueira Marques da Silva contributed equally to this work. We would like to thank Miriã Alves Gonçalves Trindade for her help with the collection of specimens and clinical data. We would like to thank Rosane Maria Santos de Assis, Erica Louro da Fonseca, Greice Maria Silva da Conceição and Darcy Akemi Hokama for laboratorial and technical support. Special thanks to Dr. David Brown for the revision of this manuscript. This study was funded by “The Oswaldo Cruz Institute/Fiocruz”, “The Carlos Chagas Filho Foundation for Research Support in the State of Rio de Janeiro” (FAPERJ E-26/202.968/2015), and “The National Council for Scientific and Technological Development” (CNPq 424376/2016-4). This study was approved by the Ethics Committee of Fiocruz (CEP 311/06; CEP 688.566/14). Informed consent was obtained from the parent or guardian of each child included in this study.